My daughter just spent her 18th birthday with some friends at the Guardians of the Galaxy theme room at Curtis Hotel in Downtown Denver. The room had a big wall mural of Groot and Rocket Raccoon. The Room also included a Record Player with the albums from Guardians of the Galaxy Vol 1 and 2. It was pretty cool. The girls spent a lot of the night having a Instagram session on the various themed floors of the Curtis. The hotel was cool and definetly put me in the mood for some Guardians of the Galaxy. What did I find on Monday? Well this little gem. 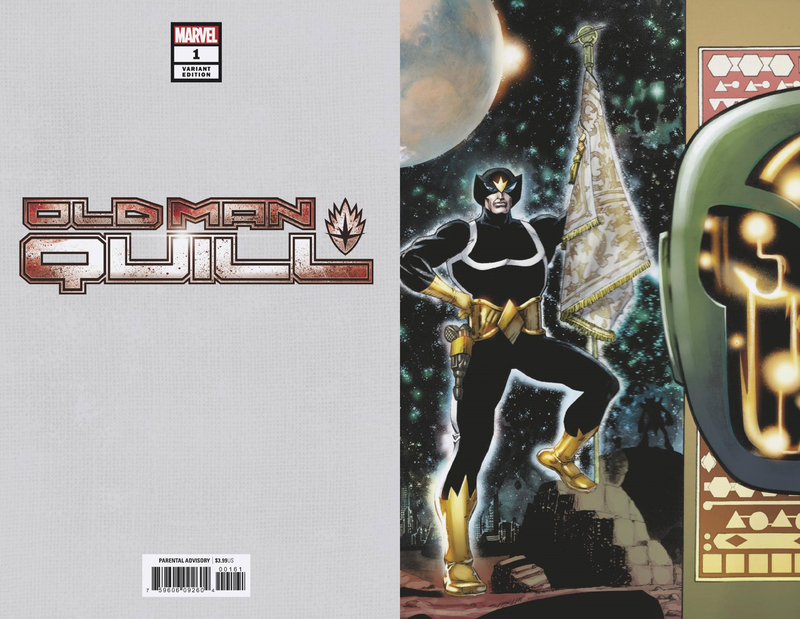 There is going to be an Old Man Quill limited series coming out in Feb 6th. 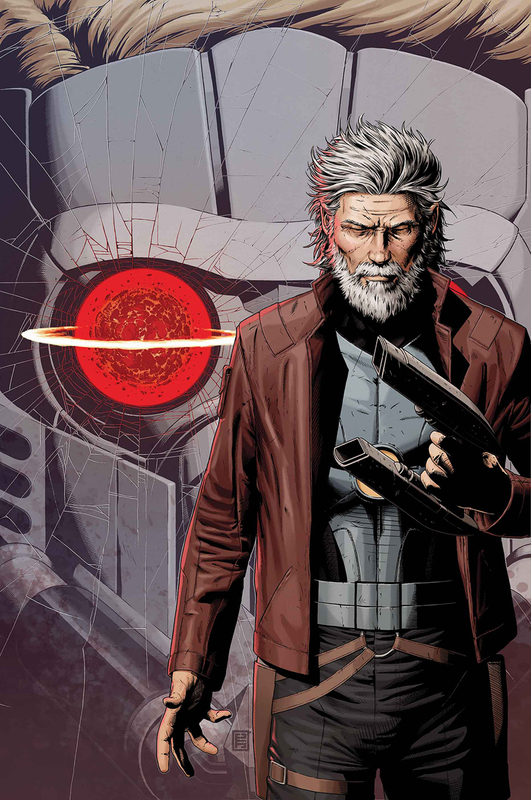 We have seen an Old Man Logan and Old Man Hawkeye so some may see this as a bit of a rehash however lets also say that Old Man was by far and away one of the biggest comic surprises in my life. It was a series I expected little from and it blew me away on every level. It must have effected other people as well as it heavily influenced the film Logan. There is something about the Old Man series where the characters are past their prime. They have less vitality, less energy, less strength and less time. Every moment they have, every ounce of power is priceless. They do have more experience, and potentially wisdom and every ounce of that is primed to make sure every step and breath counts. These are characters who are past the point of reflecting on mortality and have moved onto a kind of acceptance. But they still are not done. Its an interesting thing to read and ponder, with these stories that scrape your soul as much as they do bad guys. 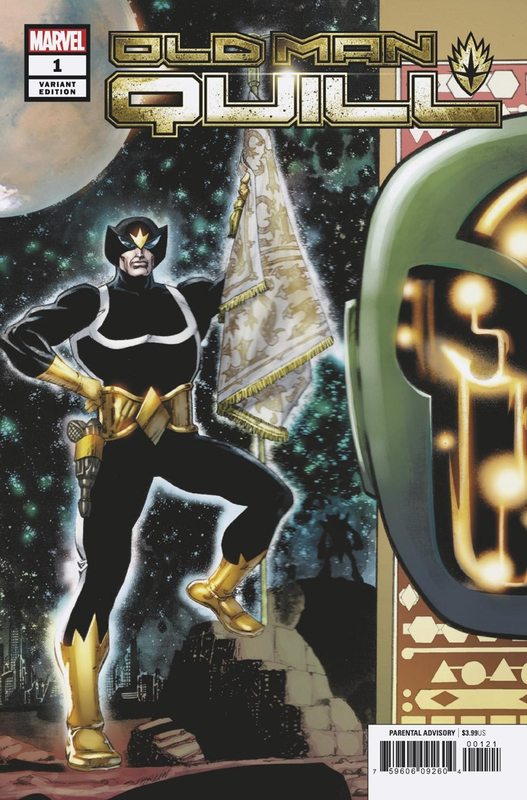 The Star Lord series promises to be just that and I am exicted to see it on shelves. While I am not always the biggest fan of Variants I do recognize its become a way to support the industry so I accept it. However, the Variants here are pretty freaking cool. There is one by the Legend Jim Starlin which is sure to be sought after. 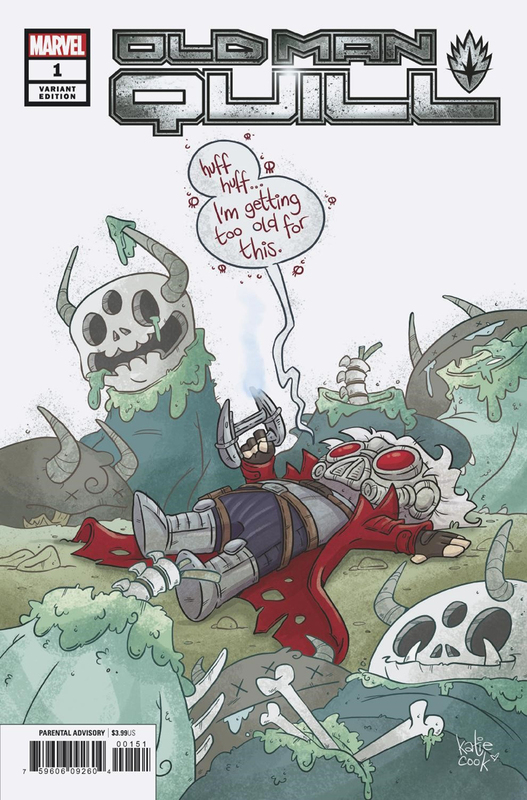 There are some solid ones by Coello and cute one by Skottie Young. 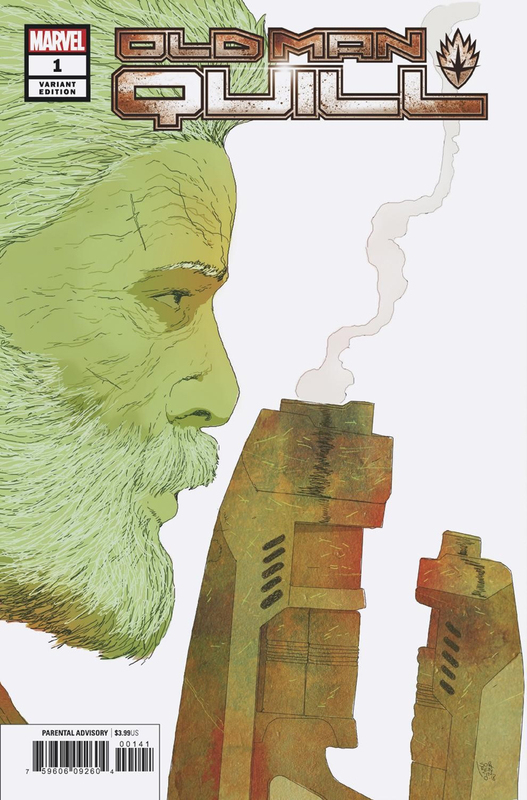 However, to me the one that really captures the essence of the Old Man stories is the one by Sorrentino. It really has a old Clint Eastwood, old gun slinger vibe that I think captures what this series intends to be. You can see them all below (The Sorrentino one is at the bottom). 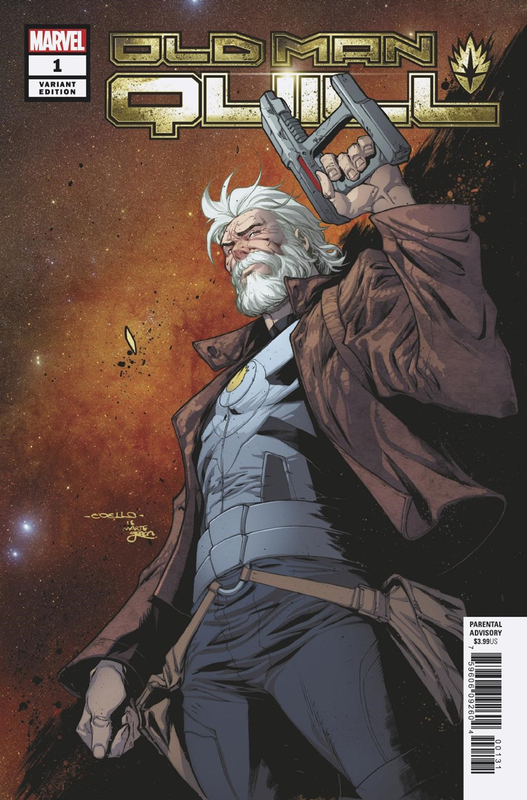 Prepare yourselves for another Old Man series as Old Man Quill hits shelves on Feb 6th. Check out these cool Guardians of the Galaxy Toys as found on Amazon!